MSE:IPD applicants are engineers who want to work in entrepreneurial contexts, spending as much of their time defining the problem as they do resolving the solution. The MSE:IPD curriculum is designed to provide students with an engineering background with the tools to apply that background to product design problems. The MSE:IPD teaches students design processes to generate creative ideas, rapid prototyping techniques and how to creatively resolve tensions between design, engineering and business criteria. The courses provide students with the opportunity to build greater skills in engineering disciplines related to product design while helping them contextualize those skills as a part of the product design process. 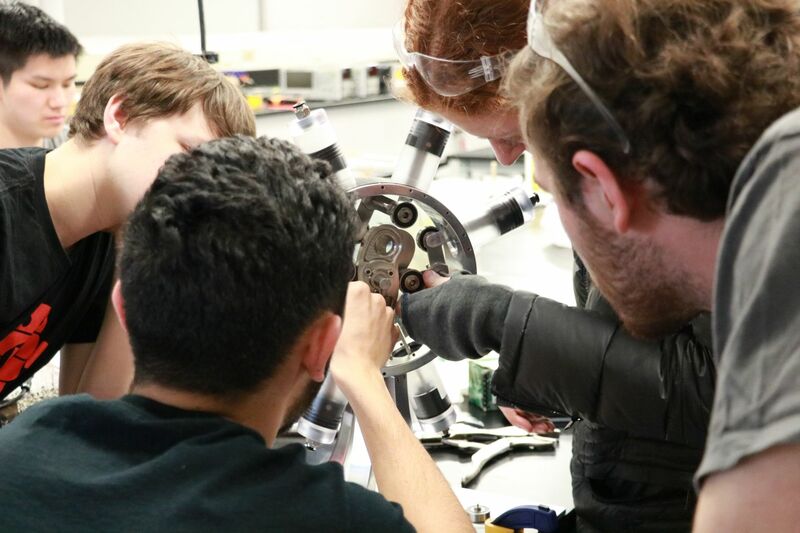 MSE:IPD students master methods for prototyping, fabrication, manufacturing, and computer-aided design. They complement their strength in engineering with a new skills in business and design arts. MSE:IPD graduates are engineers with a passion for technology, innovation, and product design. They bridge the gap between form and function, translating customer needs and business needs into design criteria and technical specs. They implement new technologies to create impactful products and experiences that enhance people’s lives. The curriculum is comprised of 6 core courses and 4 additional courses, one in design, one in business and two in engineering. Since the program is cross-disciplinary, students who do not have the requisite background in the design arts and marketing/finance, may be required to enroll in additional foundational courses in these areas. For more information about design, engineering and business courses see the Course Directory. For guidance on the policies and procedures that govern the program see the IPD Guidelines. We welcome applicants who aren't satisfied with the status quo, enjoy working in a collaborative environment, naturally make connections, and have a passion to learn product design. Admission to the IPD program is competitive. Each year, we strive to create a cohort of people from diverse backgrounds with complementary skills who can learn from each other and contribute to the culture of the program. We welcome applicants who aren’t satisfied with the status quo, enjoy working in a collaborative environment, naturally make connections, and are passionate about their work.